This species is of interest to entomologists due to the variety of subspecies, often only restricted to a specific valley in the Alps. 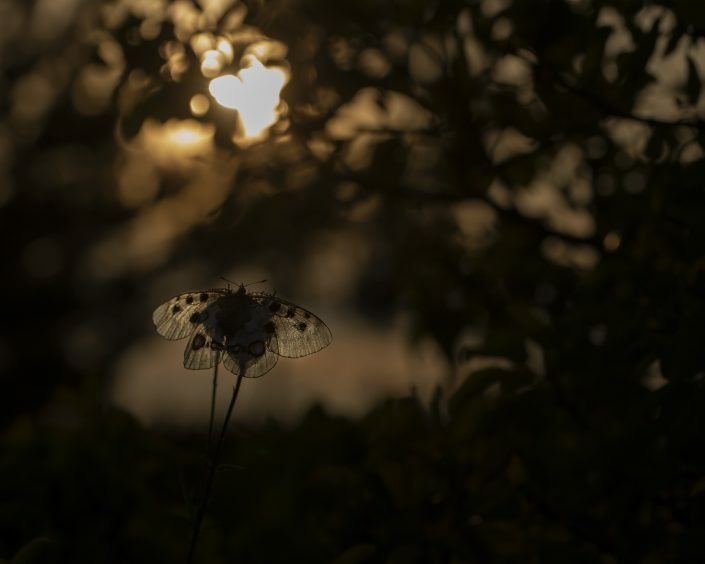 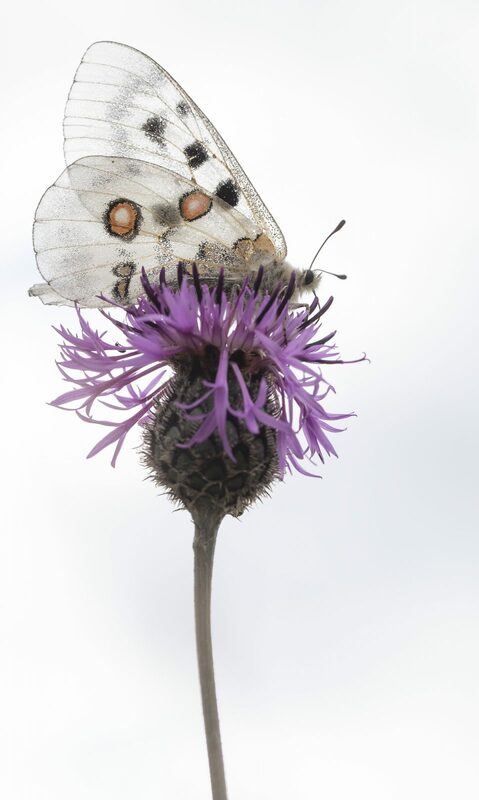 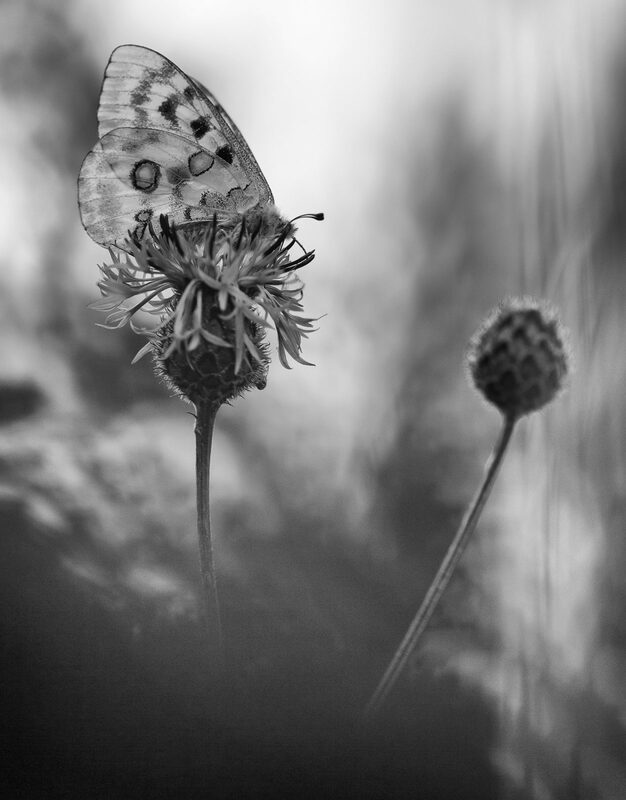 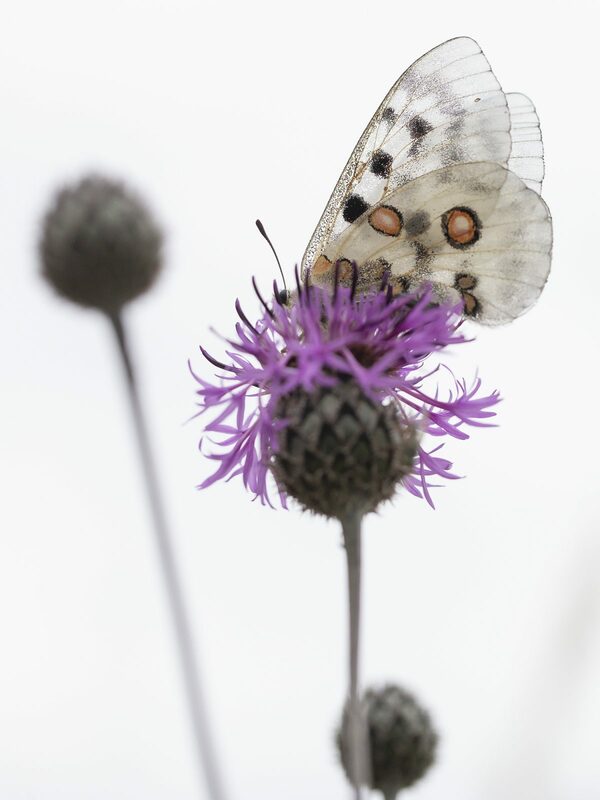 The beautiful butterfly has long been prized by collectors, who aim to possess as many of the variants as possible. While over-collecting is believed to have caused populations to decline in some areas, such as in Spain and Italy, habitat change is thought to be a far more significant threat to this species’ survival. 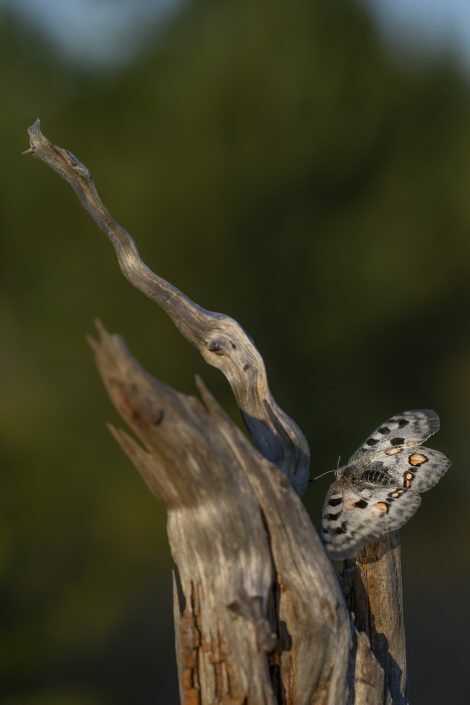 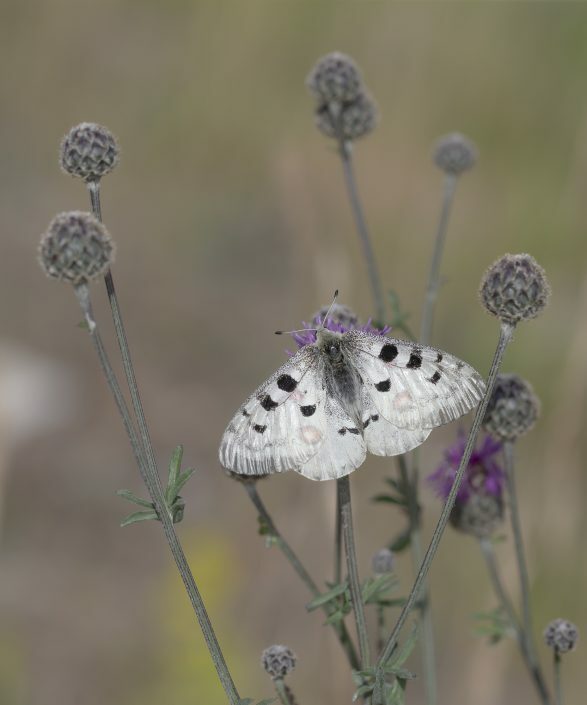 Plantations of conifers, the succession of suitable habitat to scrubland, agriculture, and urbanization have all reduced the habitat of the Apollo butterfly. 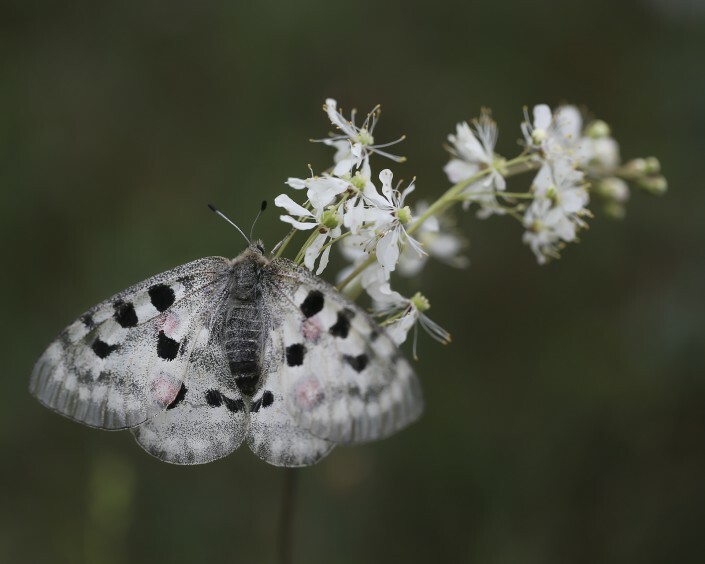 Climate change and acid rain have also been implicated in this species decline in Fennoscandia. 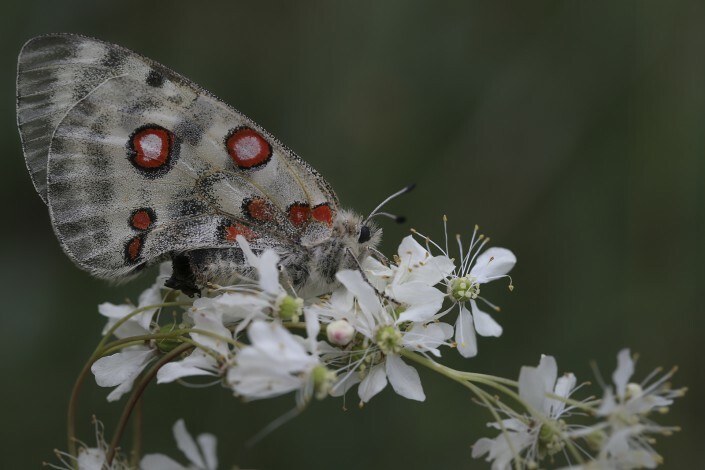 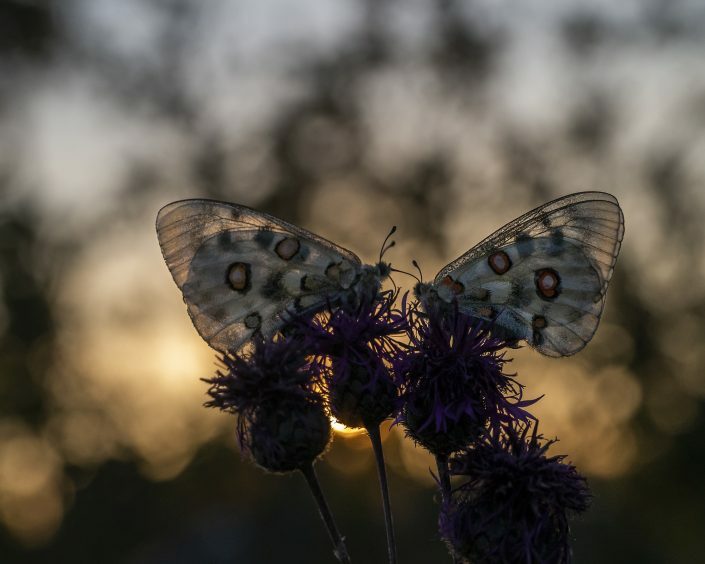 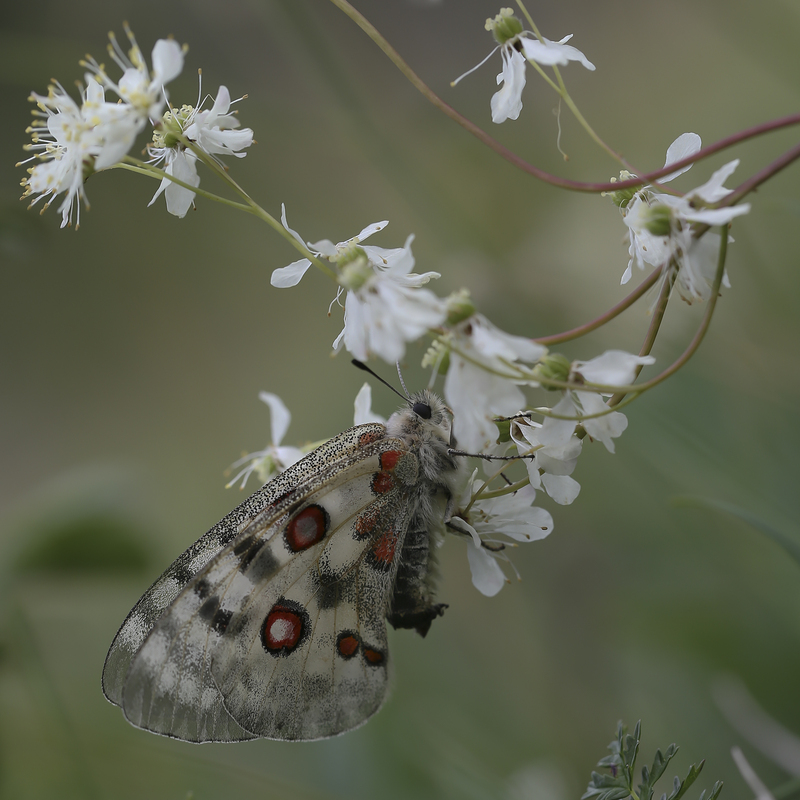 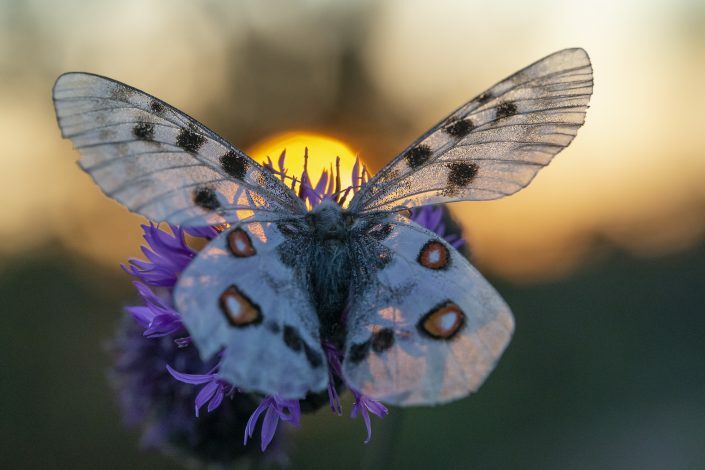 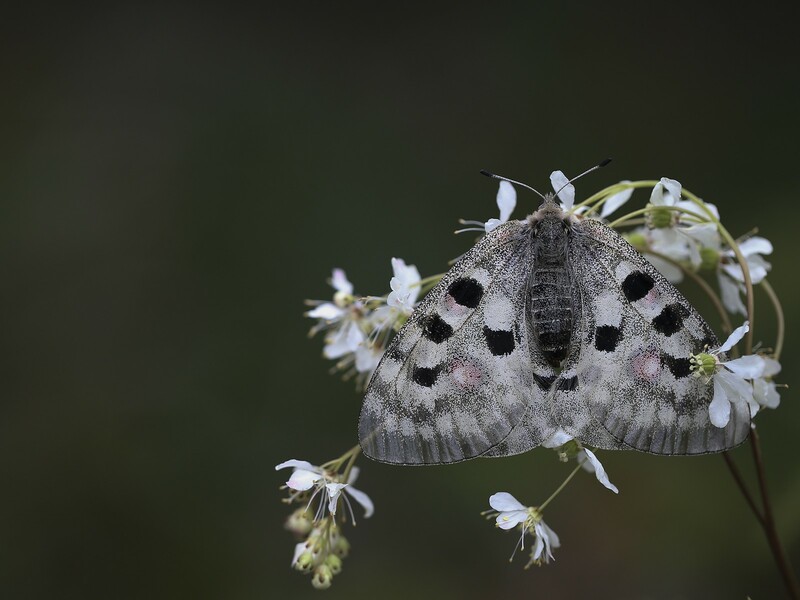 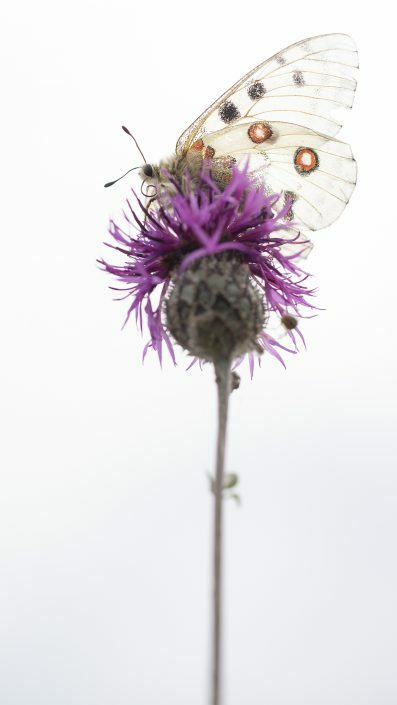 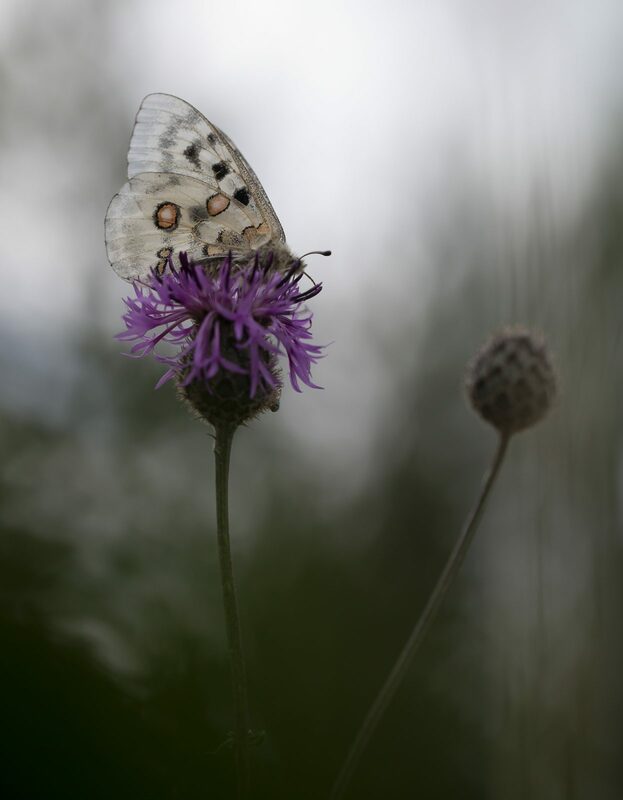 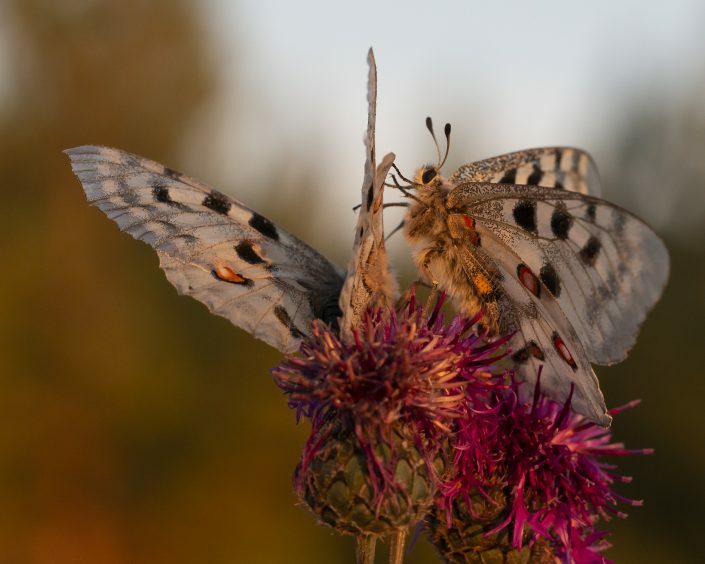 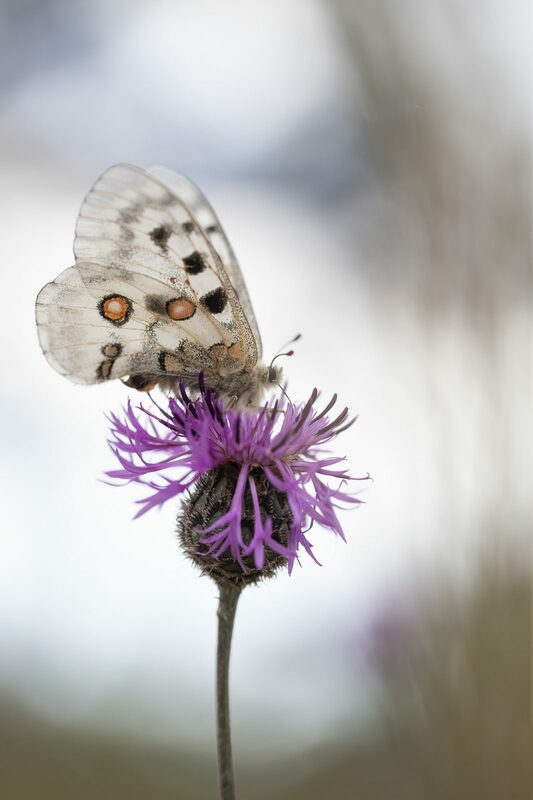 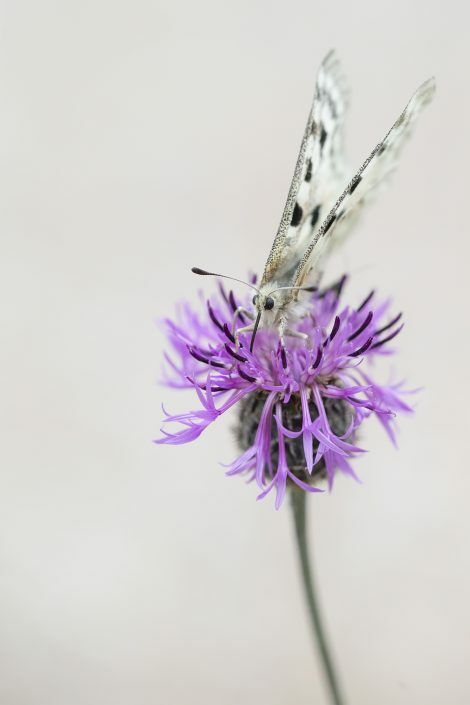 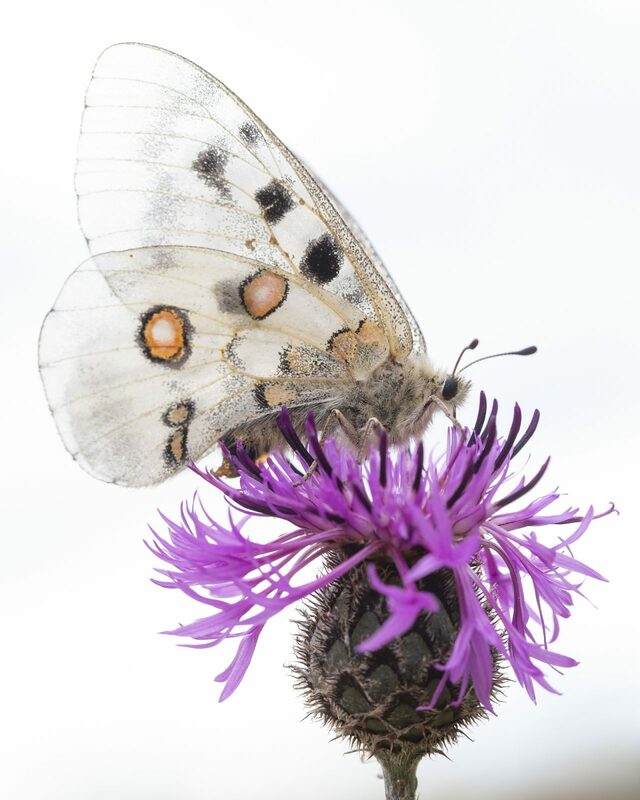 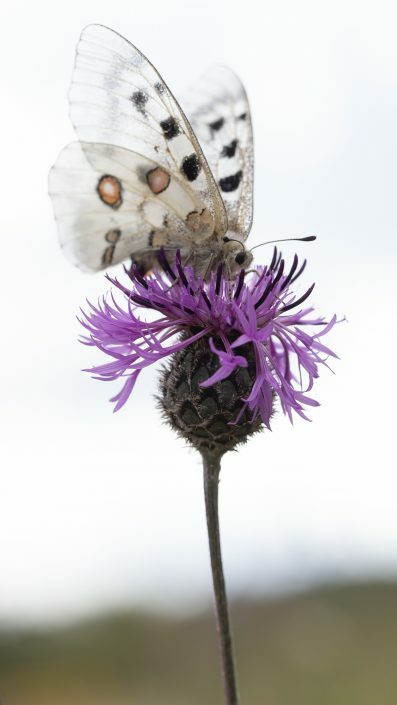 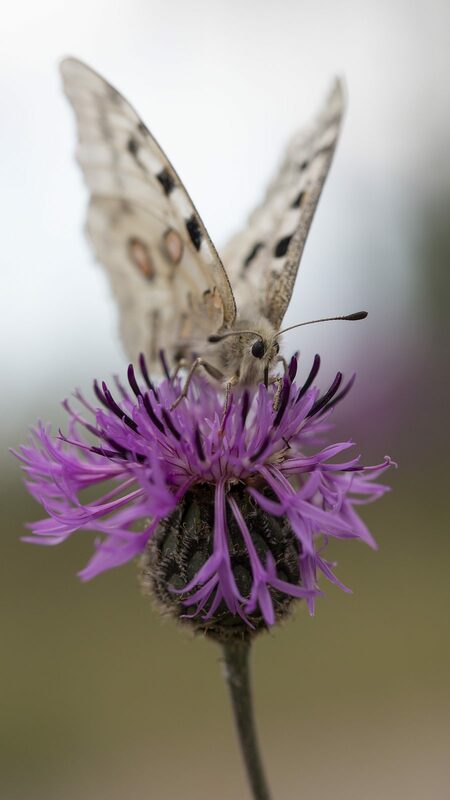 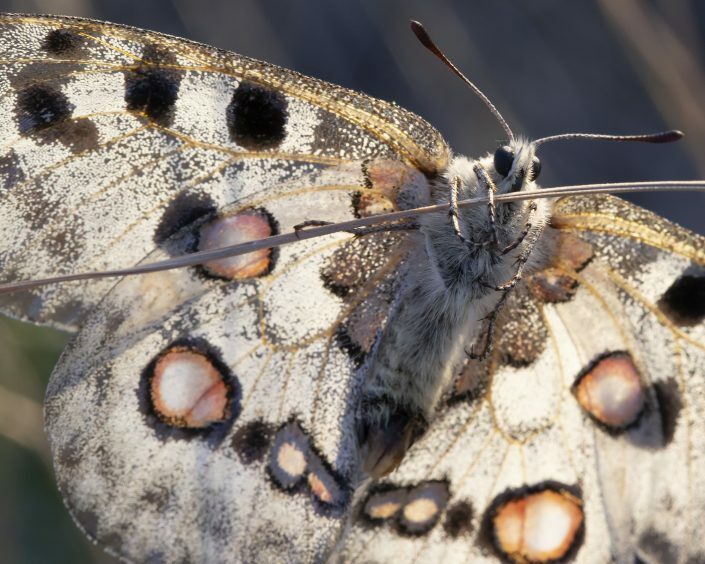 In addition, motor vehicles have been cited as a cause of Apollo butterfly mortalities; vehicles on a motorway system near Bolzano in South Tyrol, Italy, are said to have nearly wiped out a race of the butterfly. 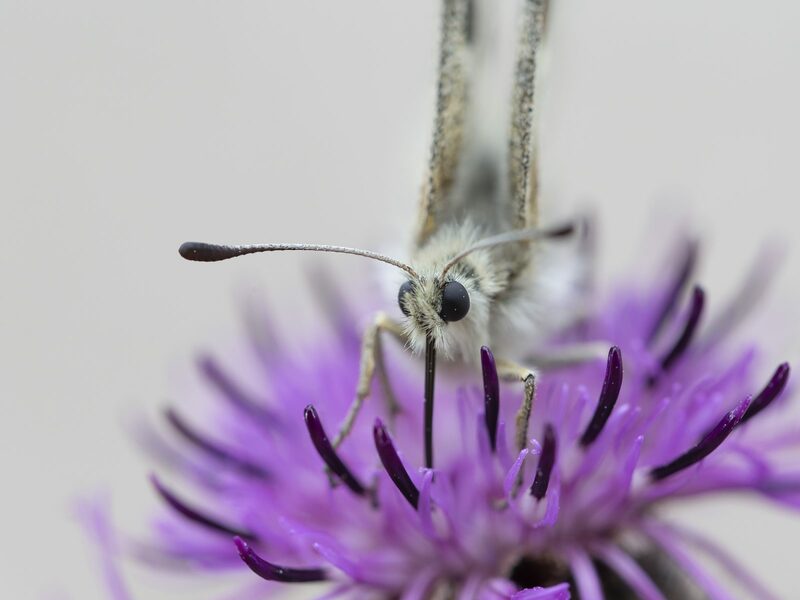 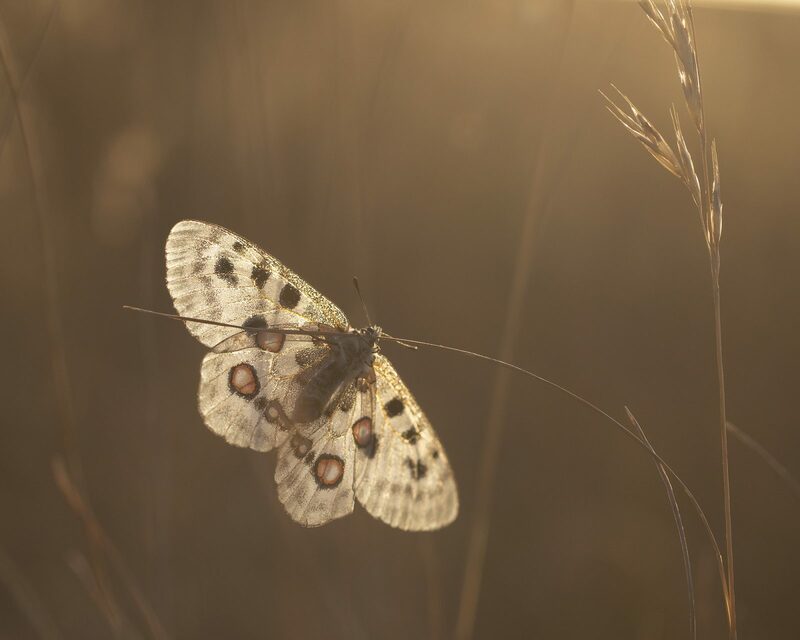 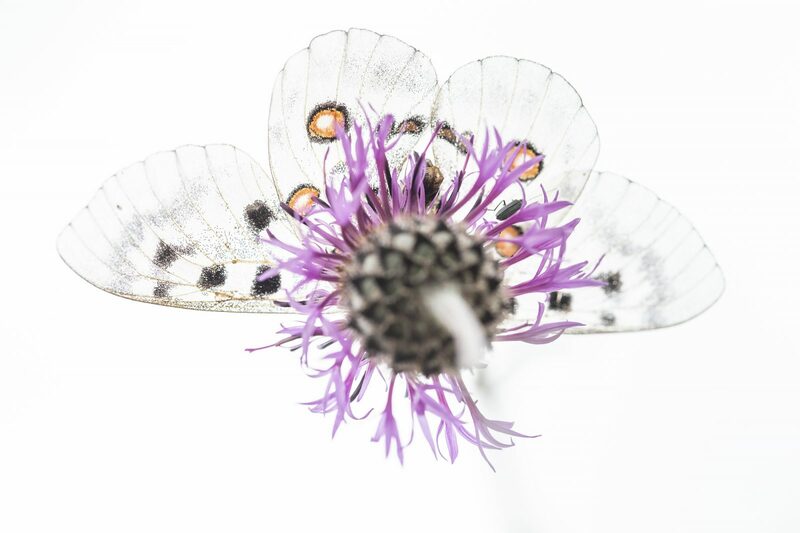 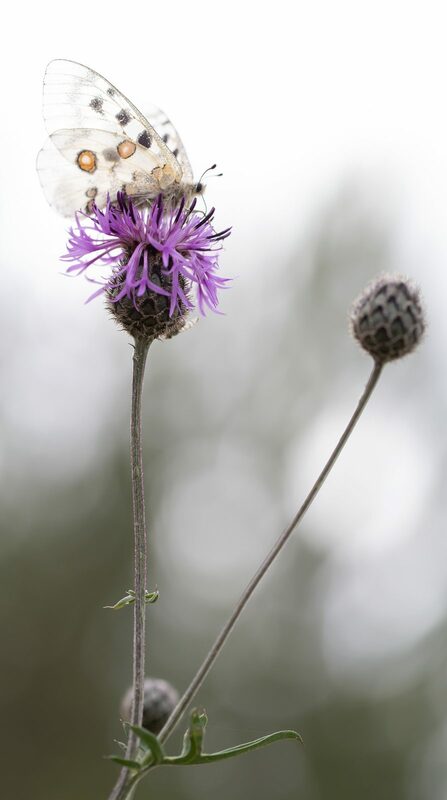 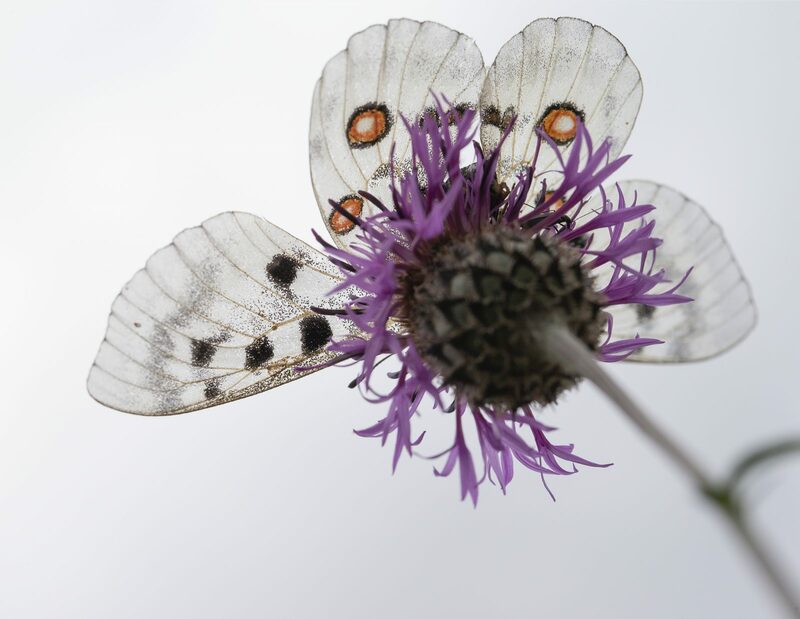 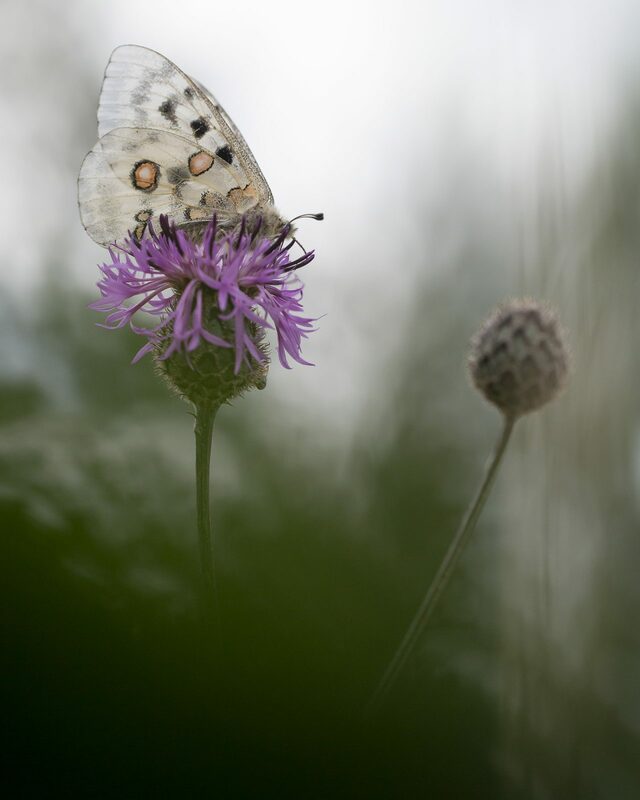 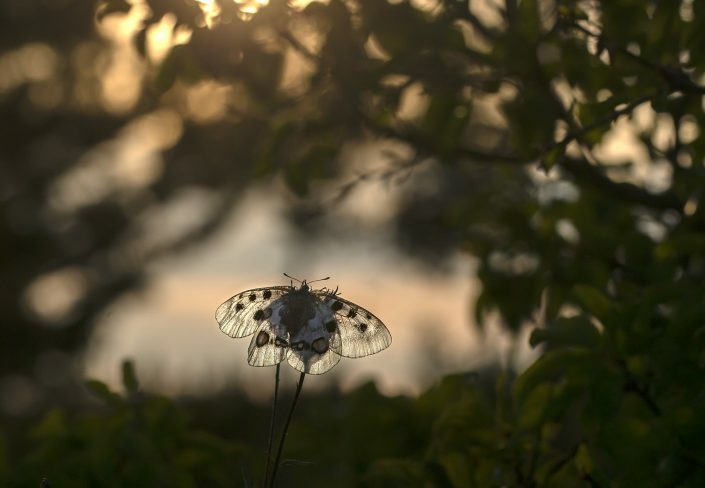 In Finland, it was one of the first species of insects declared endangered. 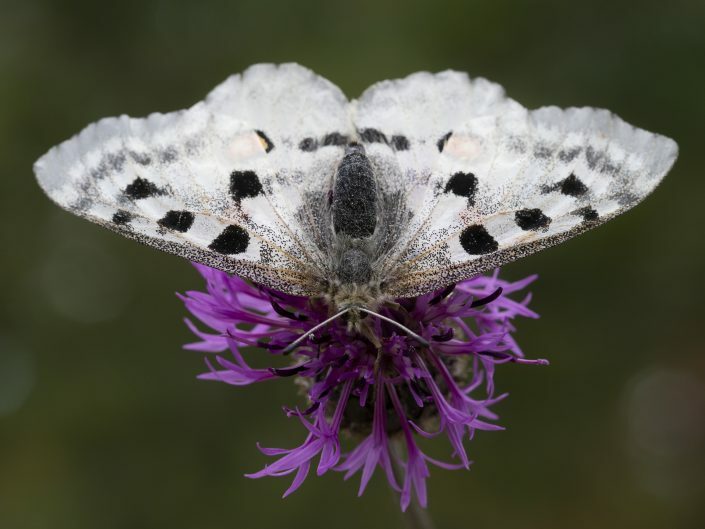 The Apollo population in Finland and Sweden decreased drastically during the 1950s. 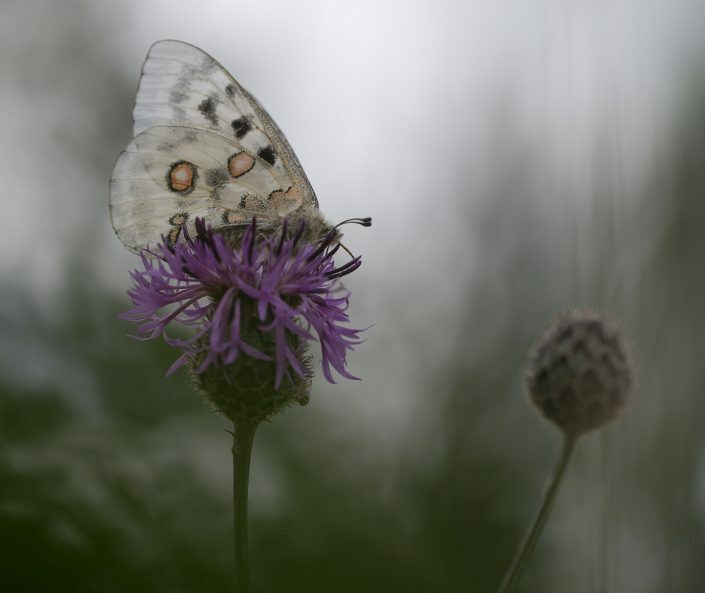 The reason for this is not known, but it is commonly thought to be because of a disease. In Sweden, it is now restricted to areas that have limestone in the ground, suggesting that the decrease could hypothetically be related to acid rain. 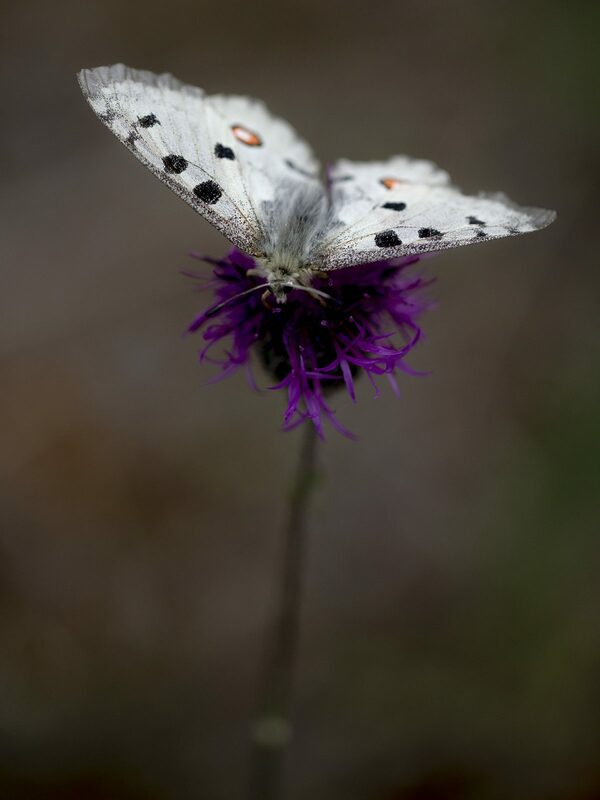 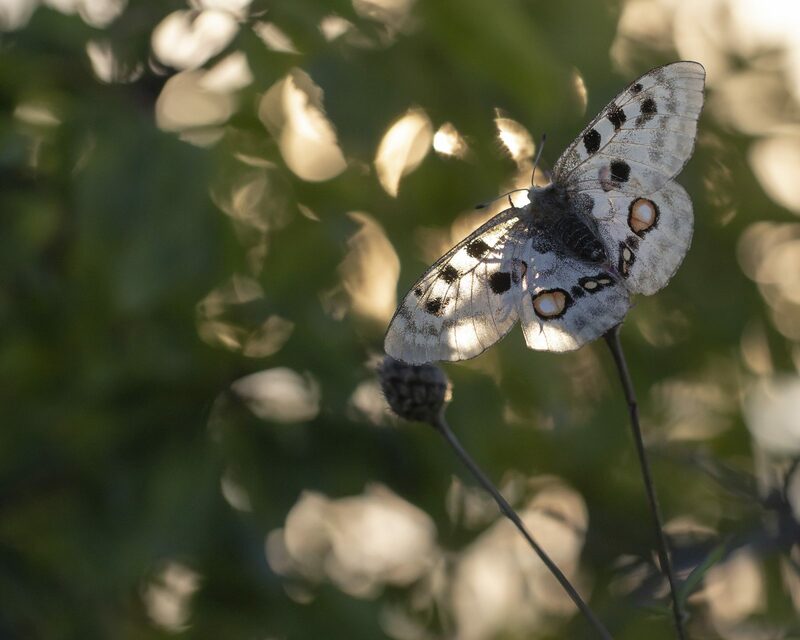 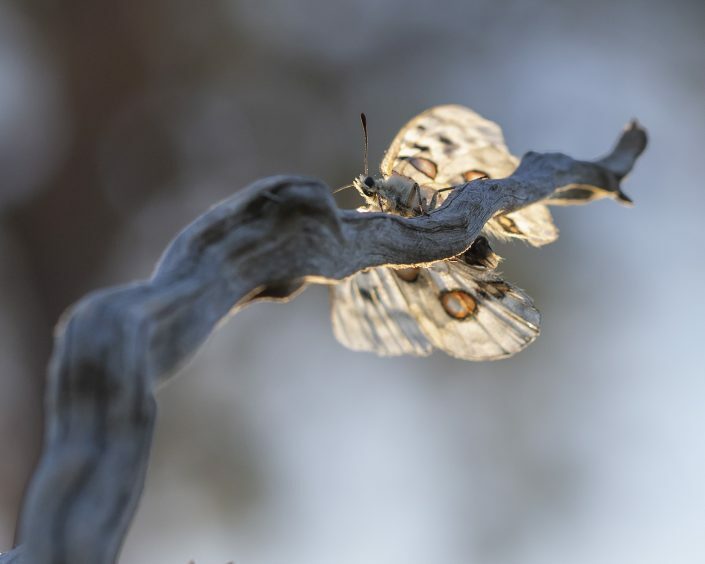 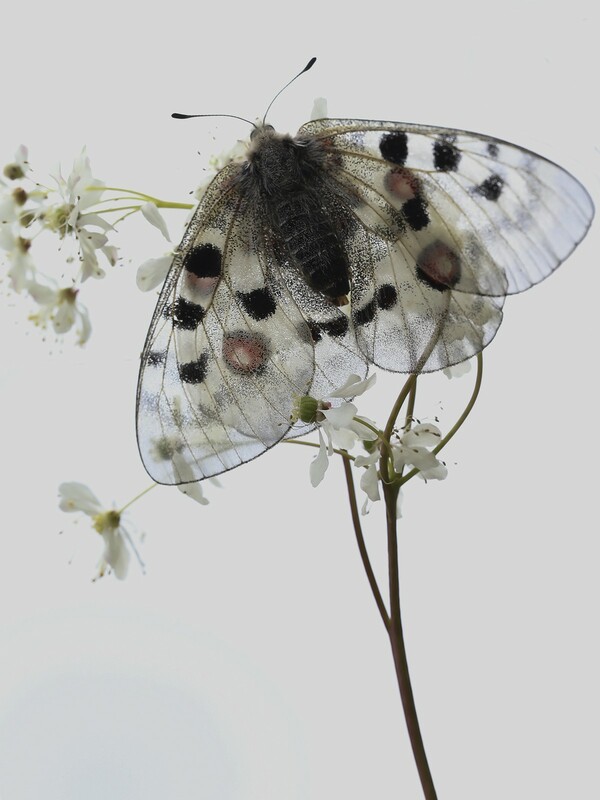 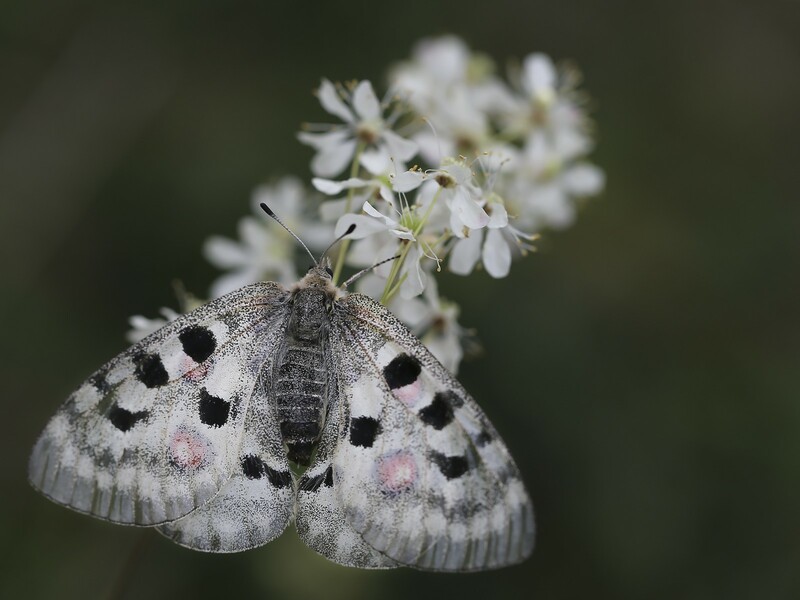 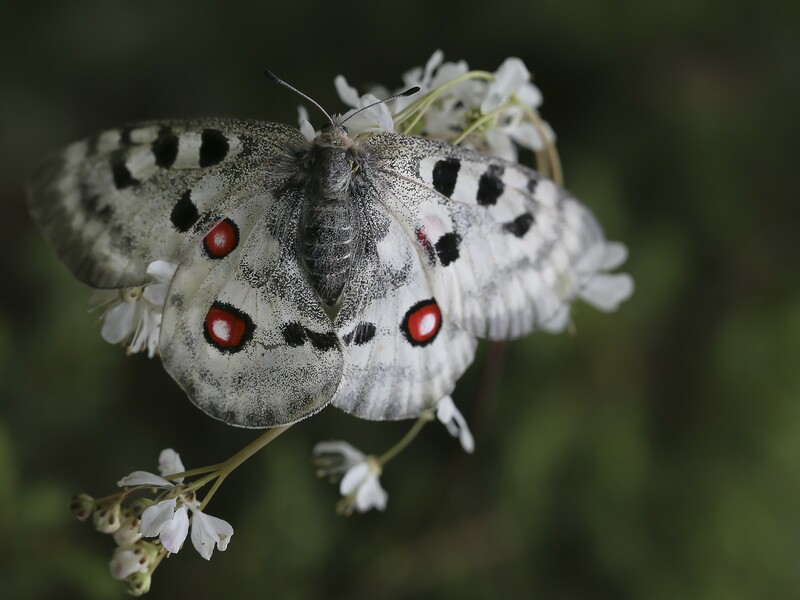 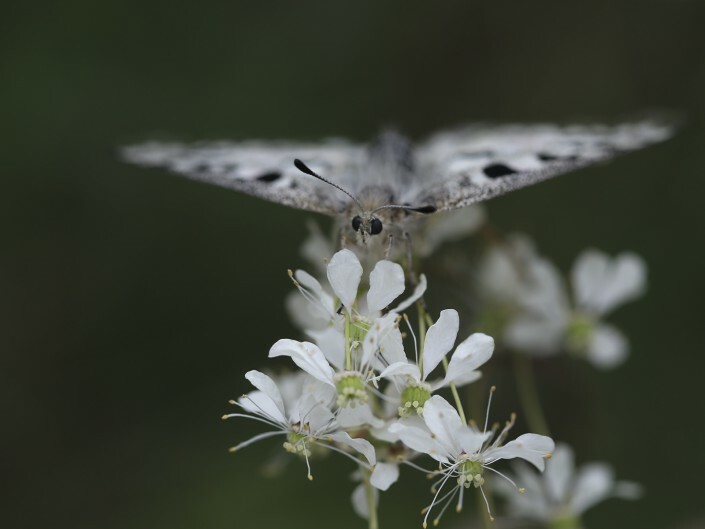 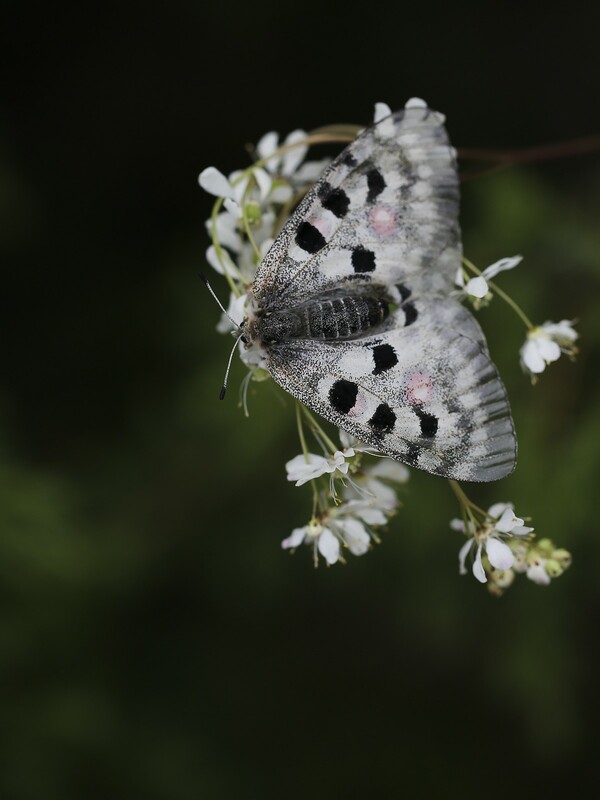 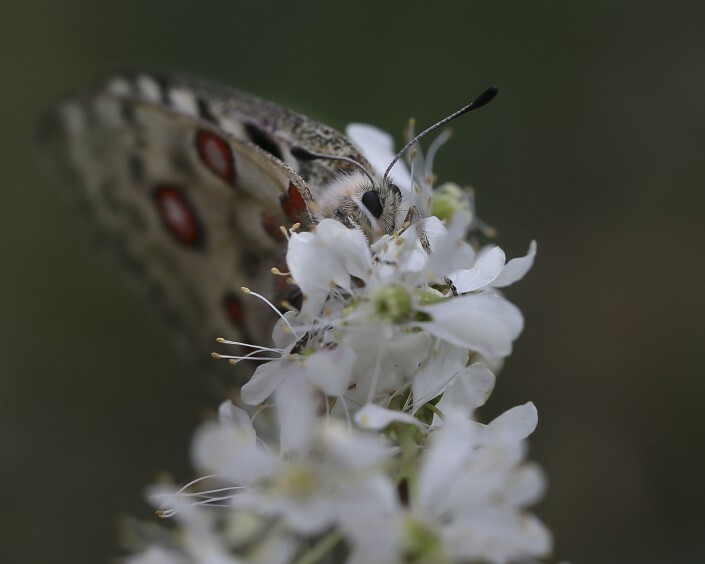 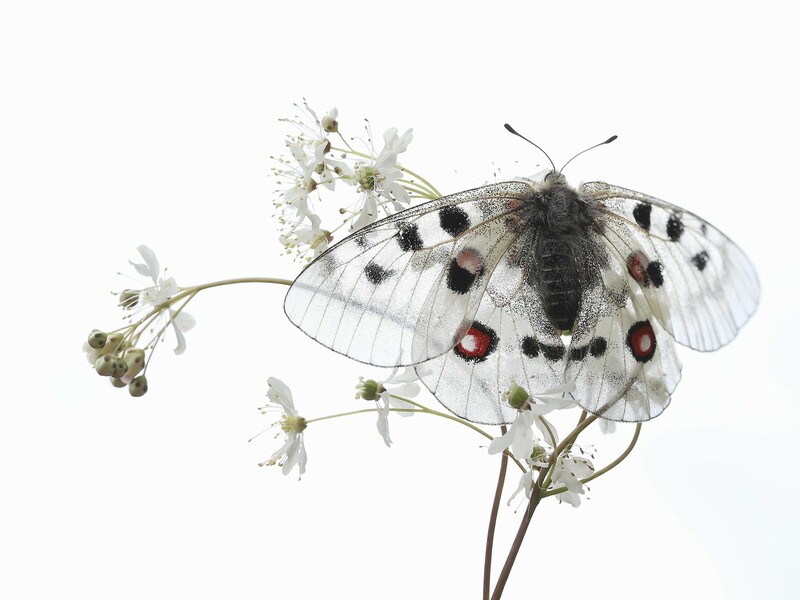 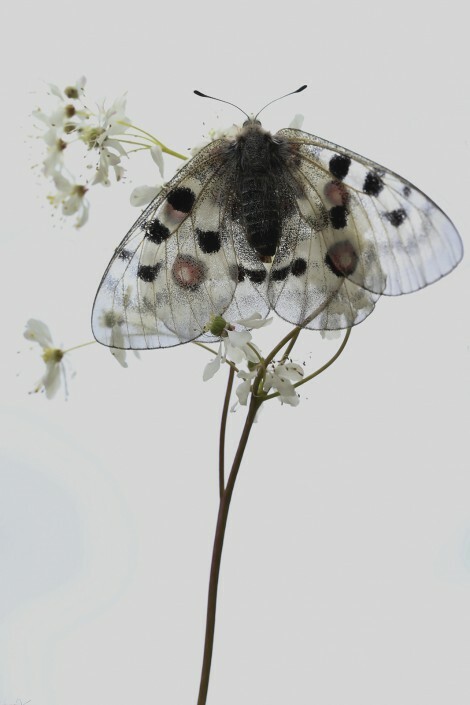 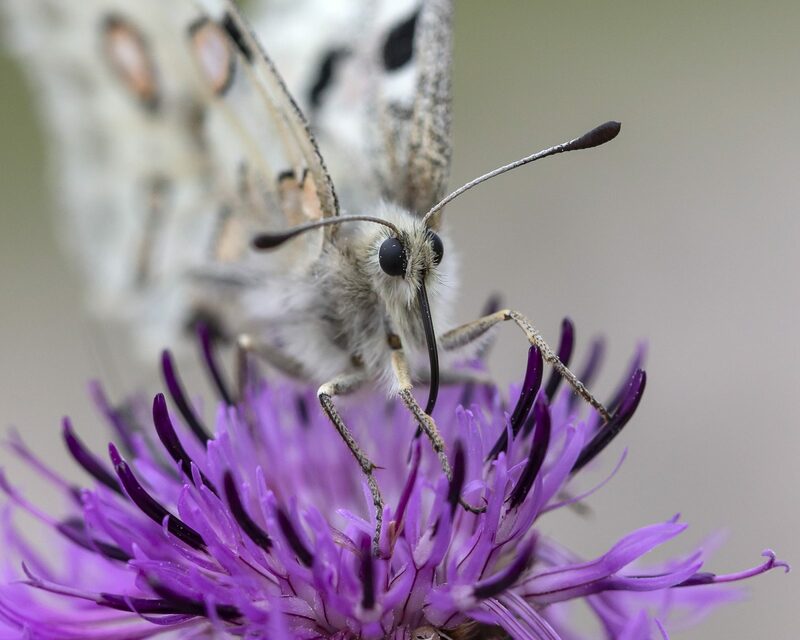 It is a beautiful white butterfly, decorated with large black “eye” spots on the forewings and red eye-spots on the hindwings. 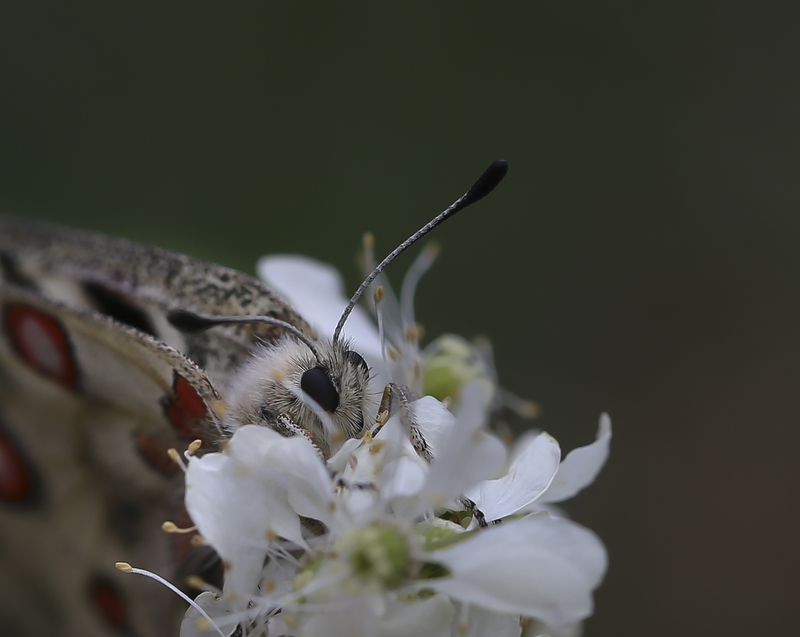 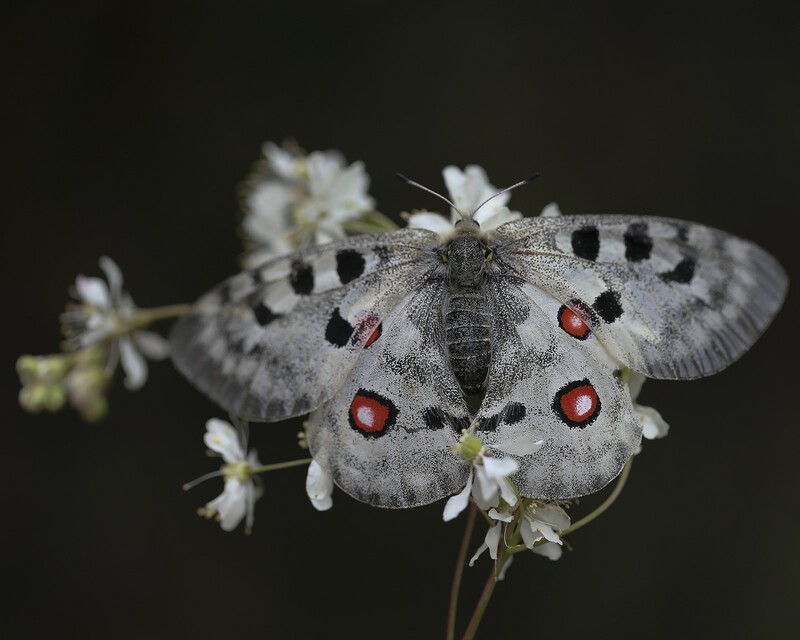 These striking red eye-spots can vary in size and form depending on the location of the Apollo butterfly, and the bright red colour often fades in the sun, causing the eye-spots of older individuals to appear more orange. 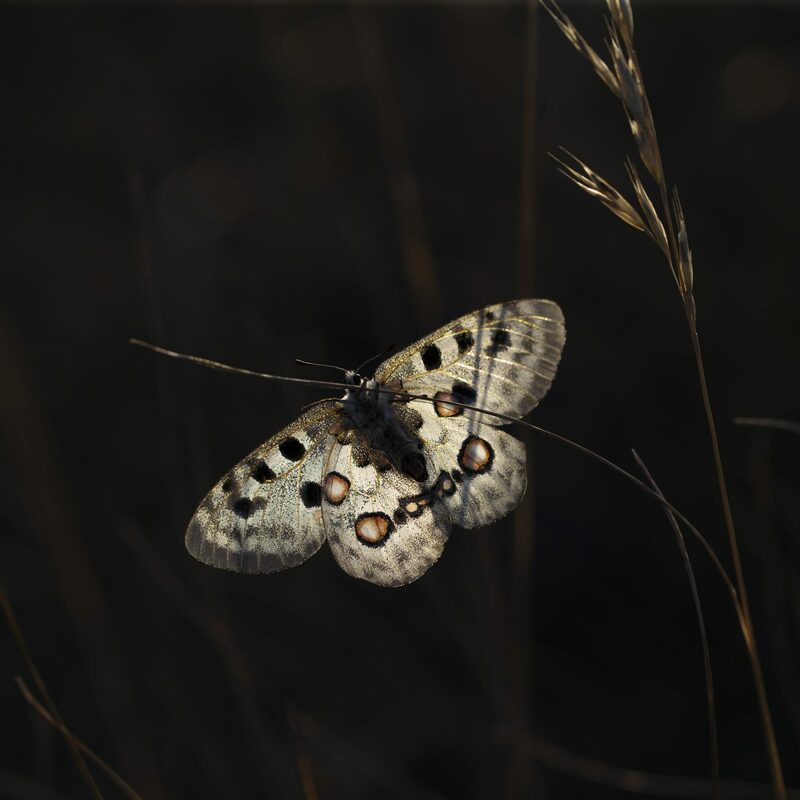 The wings are shiny, with slightly transparent edges, and some individuals are darker (melanistic); a general phenomenon common in many butterflies. The caterpillars of this species are velvety black with orange-red spots along the sides.